I am visiting my daughter in Kimberley B.C., and today she and I took the 30 km drive into Cranbrook to go to a Baby Expo because – she is expecting! After a couple of hours of browsing at so many cute and creative baby things we were nearly overwhelmed and nearly famished. 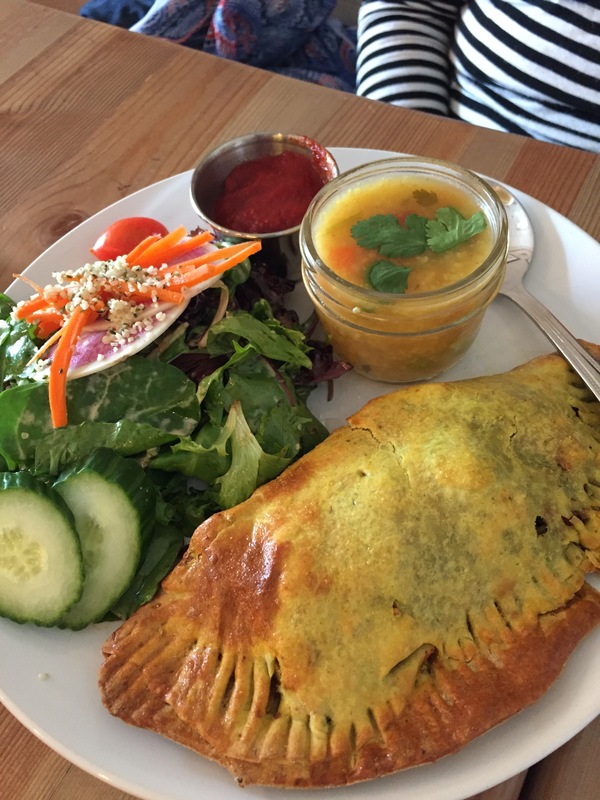 So before heading back to Kimberley we drove into the old quarter of Cranbrook for lunch at the newly opened SoulFood Co.
My daughter had a Soul Food Vegetarian Hand Pie with house-made Jerk Catsup and Curry Vegetable Soup, and I had their Soup which was also Curry Vegetable. Both excellent. 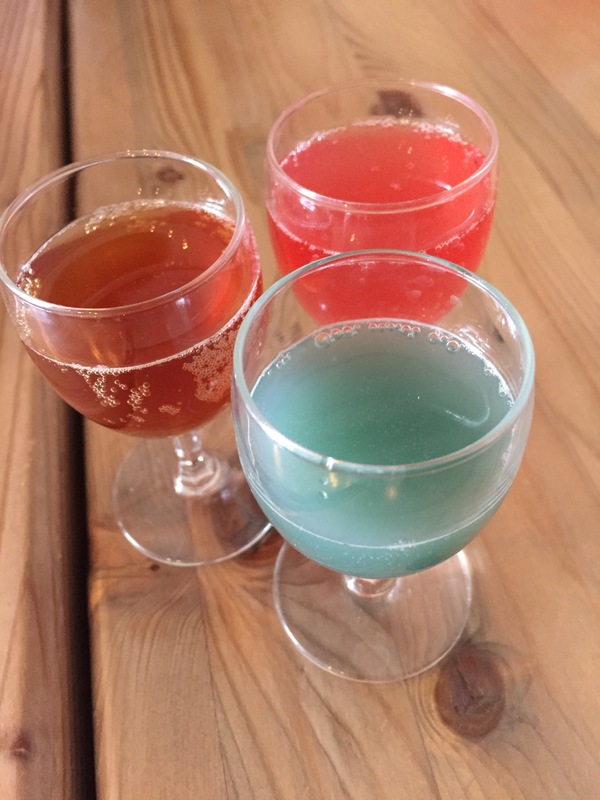 Then our server brought out a sample of their house made sodas, a Root Beer Sarsaparilla blend and the other two I don’t recall- I need to remember to take notes! 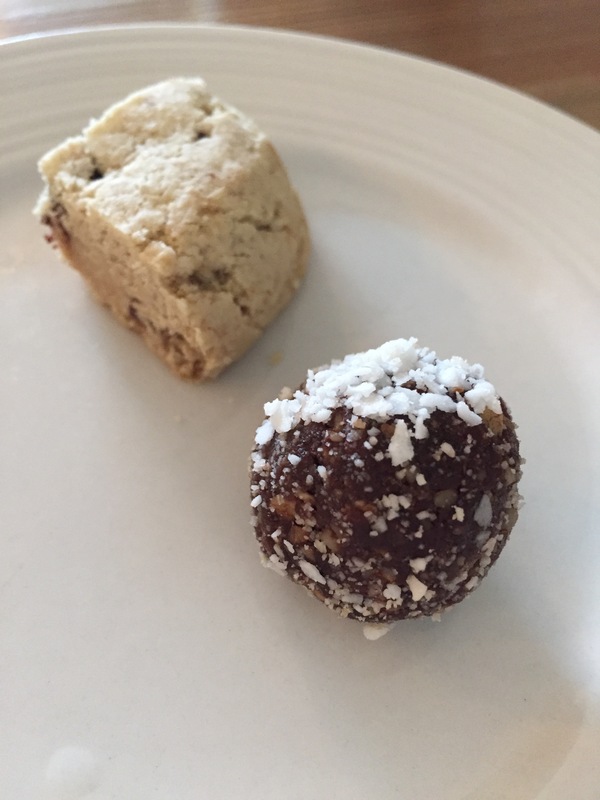 Then she brought out some bites of their sweets, a Chocolate Chip Cashew Cookie made with Amaranth Flour and a Date Chocolate Ball with Coconut. Tasty healthy alternatives! The space inside is spare, clean and pleasant, there is a small performance stage near the entrance and in front of the large window for live music, which we had just missed unfortunately. The overall atmosphere is Urban meets Hippy throwback with cheery personable staff. As we were finishing our lunch the owner from Centex, a local foodie, organic, market/gas station in downtown Kimberley came in carrying boxes of jarred somethings which can only be good stuff I’m sure. 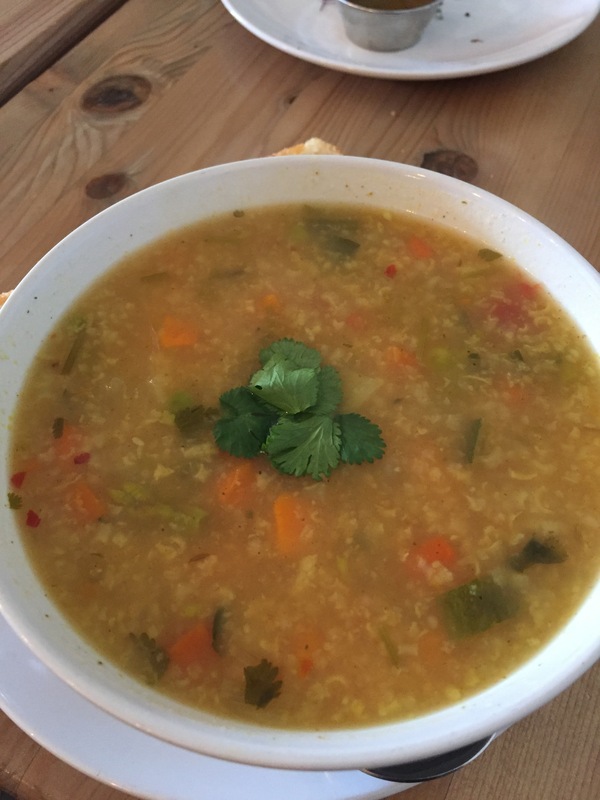 SoulFood sources as much as they can find from local organic purveyors including their meat, but are having a difficult time finding organic chicken from the area and are actively petitioning local farmers for supply. They will be expanding their menu and open for dinner this summer. While we did completely enjoy our meal at SoulFood it was later in the day and unfortunately all night we both experienced a nasty bout of indigestion! My daughter more so perhaps because she had one of their coffees to go -she usually doesn’t drink coffee in the afternoon- and the fact that she is pregnant. She was very uncomfortable all through the night. First thing in the morning and finding she was still quite uncomfortable and unrelieved, me too still slightly “pitty” in the stomach, I went to the drugstore and picked up some TUMS and taking two as soon as I got back into my car within minutes felt entirely better, so knew for certain it was just bad indigestion. I gave two to my daughter and she was fine in a short time too. I think it was a combination of the soda and the spice of the Curry Soup and the Hand Pie she shared with me. Aside from that…. I’d go back and try it again. I’ll keep TUMS in the car, just in case the spice wants another go round. Cranbrook B.C.Cranbrook EateryKimberley B.C.SoulFood Co.Where to eat in Cranbrook B.C.